Hello and happy Tuesday. It's time for another challenge at CASology. 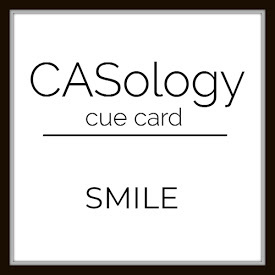 This week, our cue word is SMILE. I looked through my stamps and found a sentiment I had totally forgotten about that is perfect for a card to send to a friend, just because. 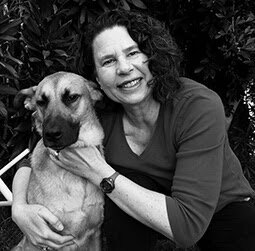 Another interpretation that I didn't think of until I had already made my card would be to make a card featuring anything that makes you smile (puppies, chocolate, hugs, you get the drift). I stamped my sentiment in the lower right corner of the card, die cut a leafy branch (PTI Turning a New Leaf) and then built it back up with layers of matching green card stock. It's been a while since I used the inlaid die technique, and this was a reminder to me of how fun the process is and how much I like the final product. Now it's your turn. How does SMILE inspire you? Please head on over to the CASology blog and gather some inspiration from the our Guest Designer Monika R. and the CASology design team. great CAS Card and I am so happy being GDT together with you telented DT member.. Simply fabulous card...made me smile! 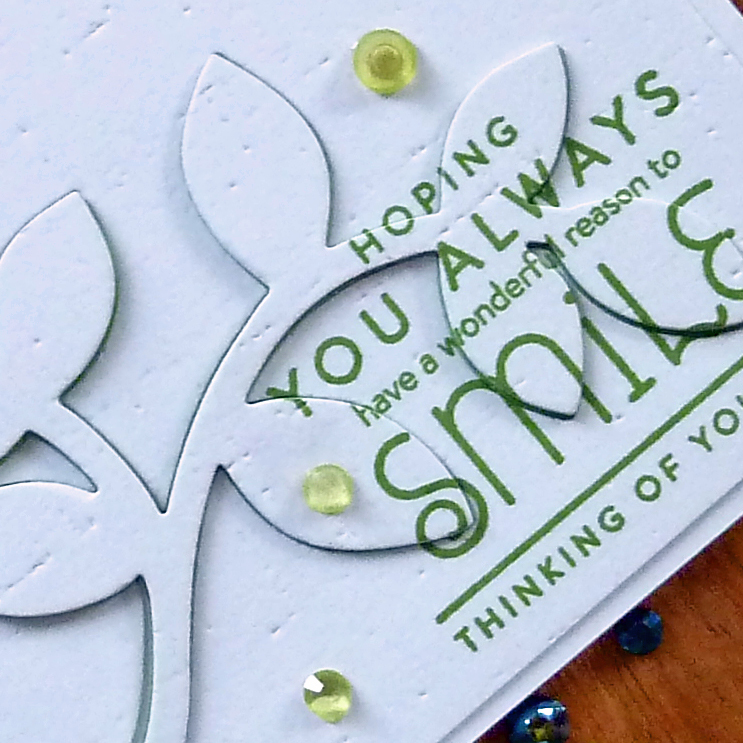 Your sentiment is as sweet as can be and love your wonderful design! 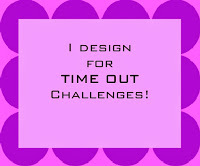 What an awesome design Joyce! I like the way you've layered this up, it's fabulous! 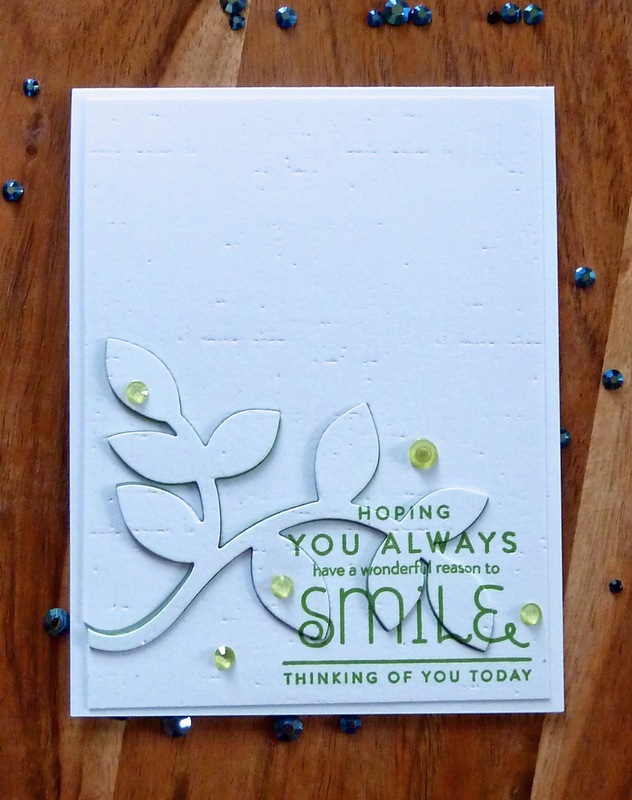 I love this beautiful design, Joyce, and gorgeous texture too! Your card certainly made me smile! Great technique to keep the card CAS, Joyce. Joyce so simple and so beautiful. It made me SMILE! Lovely card, Joyce! Great sentiment - and I like the dimension of the die! Clean, simple and perfect for me! 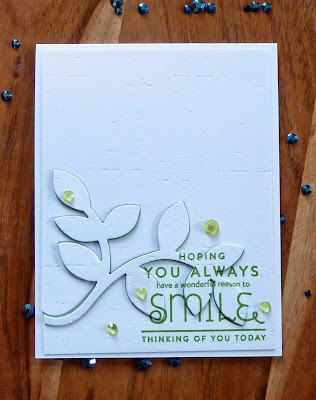 love this card - what fun and easy technique!